Found this today while I was reading this morning, thought it might be of interest. nice little article. 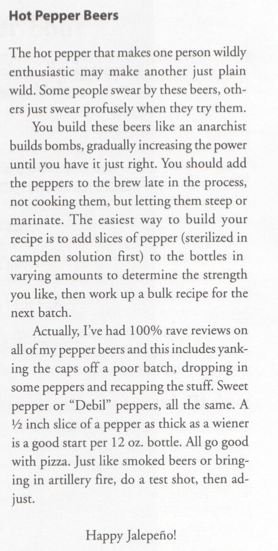 I had always thought of adding peppers or hot sauce to a carboy, but it would be quite easy adding a piece of pepper to a bottle of different types of beer I make and see which style of beer tastes the best spicy.